Veteran journalist and author George Anastasia is covering the federal trial of recently defeated Philadelphia Congressman Chaka Fattah for Bigtrial.com. The defendants "left a trail of false documents" while taking part in a conspiracy that included bribery, fraud and money-laundering, the prosecutor said, adding that Fattah "cheated his way out of paying campaign debts" and used Vederman, a wealthy lobbyist and long-time friend, "as a human ATM machine." Gray, in a one-hour presentation, told the jury the government's case is built around a documented trail of misappropriated and misapplied funds. "Omissions" and "falsifications," he said, were the hallmarks of the conspiracy. "This case is about theft, fraud and corruption," he told the jury. 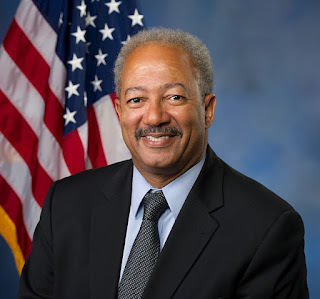 The case, developed by the FBI and IRS, focuses on what the government alleges was an illegal flow of funds that began with an unreported $1 million loan to Fattah's failed 2007 Philadelphia mayoral campaign. The illegal flow included bribes and illegal payments to bolster a mortgage application for a vacation home in the Poconos that Fattah and his wife purchased; payments to cover tuition bills owed by his son, Chaka Fattah Jr.; and the misapplication of funds earmarked for non-profit educational program diverted to cover Fattah's personal and political needs. In fact, Gray said, Fattah used some of money to pay taxes he owed to the city of Philadelphia.